One presidential candidate has made it part of her campaign platform to erase student debt and make college more affordable. 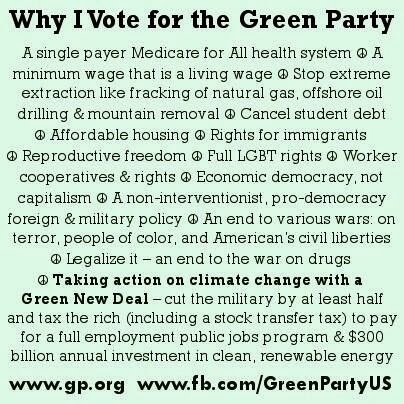 In fact, Green Party candidate Dr. Jill Stein would make enrollment in a public college or university free. It’s all part of what she calls her Green New Deal. Stein was in Maine today for a campaign swing through Portland just two days before the Maine Greens hold their party convention. With her 150-pound great dane, Bandita, by her side, Dr. Jill Stein (left) strolls into Monument Square looking very little like a traditional presidential candidate. There’s nothing traditional about Stein, who would cut the defense budget by at least 30 percent, expand Medicare, make health care a human right, end bailouts and free loans to Wall Street and legalize marijuana. Stein says she wants to reclaim democracy by turning a breaking point into a tipping point in this election. And it begins with students who she calls the economic engine of the next generation. Stein calls that a terrible injustice that is bad for the economy. But she says if, in the 20th century, the nation could create a free high school education–seen as essential for economic security–why, she asks, can that not be done in the 21st century for a college degree? A resident of Lexington, Massachusetts, Stein has campaiged for local and state office for the past decade. She jokes about having debated Republican Mitt Romney in her campaign for governor, and coming out ahead in that performance. Visit her Web site, jillstein.org, and judge for yourself, she says. Stein says she would attempt to rectify this by taxing the wealthiest Americans at a much higher rate, namely through creation of a progressive income tax. She’d also tax Wall Street transactions to reduce speculation; and tax capital gains as income. It’s the kind of anti-establishment, Occupy-embraced message that inspires Green Party activists, such as 82-year-old Fred Dolgan (at right in photo above) of Old Orchard Beach. As part of her campaign platform, Stein is calling for a Green New Deal, similar to the New Deal that helped the nation emerge from the Great Depression of the 1930’s. Stein’s includes a living wage for every able-bodied worker. And she calls it “green” because it creates jobs in an economy that embraces clean, alternative energy and sustainable communities at a cost that she believes would be less than the cost of the president’s first stimulus package. “You know, you can only vote so many times for the lesser of two evils and expect that you’re going to get something to change,” says Jacqui Deveneau of Old Orchard Beach. Deveneau is the self-described “Welcome Wagon Lady” for the Maine Green Party and the chair of the York County Greens. She’s also on the national committee. Deveneau says she thinks the time is ripe for Greens in Maine and around the country. 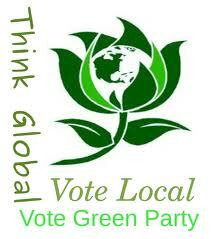 In Maine there are more than 33,000 Greens registered to vote. Some of them will be attending their own convention this Saturday in Portland, where Stein and one of her two primary competitors, the well-known television comedienne Roseanne Barr, are expected to attend via Skype. So far, Stein is leading in the primary contest with 13 out of 13 state victories under her belt. 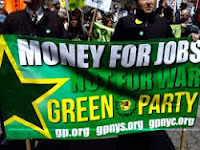 The Green’s national convention takes place in Baltimore in July.